In a previous post I detailed the circa-1950 kitchen which was torn out of the carriage house shortly before I purchased the Cross properties. 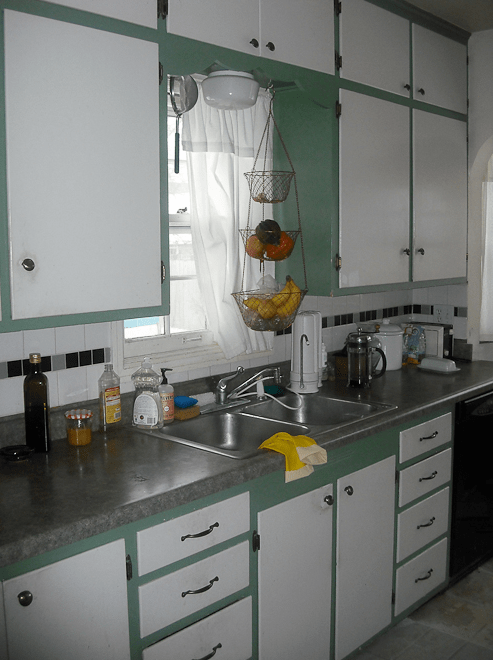 I also detailed how I wish the kitchen had been retained, as I could have made it look great by restoring and gently enhancing its distinct period charms, and pre-Atomic Age styling. A few who read the post later told me that there was no way the above kitchen could look good, my talents notwithstanding. Well, the gauntlet has been thrown down! …zounds! 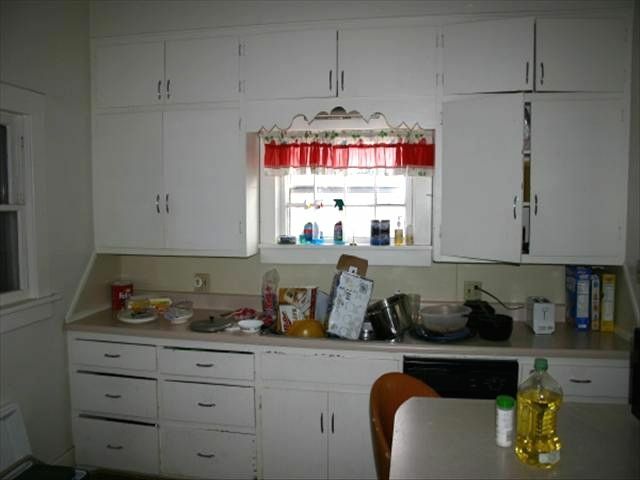 It is hard to believe it is the same kitchen, and with the same cabinets. Amazingly, the owners are not restoration-crazed maniacs, and had initially planned to put in a new kitchen. But slowly, slowly, they came to the realization that their grim kitchen actually had certain inherent qualities. People like this are heroes to me. Wow, what an inspirational before and after! Love they decided to keep the cabinets and the changes they made to the counter, floor, paint and hardware made for such a charmer! I love cabinets like this! I cry when I hear of people tearing them out! I feel a bit like Bad Ross… I WANT! 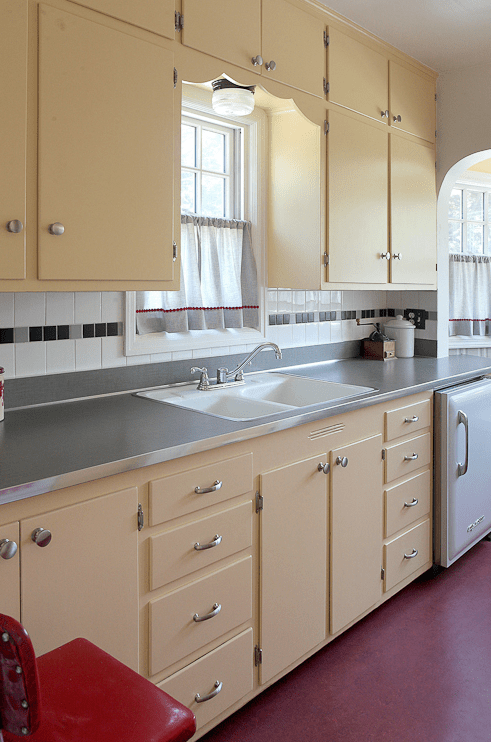 That looks like a zinc countertop on the restored version! That’s a great look for vintage cabinets and so durable! I love it on these cabinets and it would look just as good on an older vintage, or maybe on a worktable! that is the story I was hoping you would see. They used budget friendly laminate with a metal T edge and corner pieces where countertop meets back splash. Countertop Bling. Check out the articles on Hudee frames too.